Introductory offer: New cardholders can earn 35,000 bonus miles for spending $1,000 or more with their card within 90 days of opening their account. 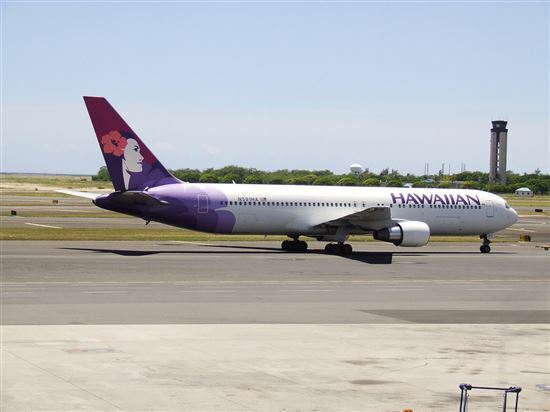 You'll also get a one-time voucher for 50% off a companion fare on a roundtrip Hawaiian Airlines flight between Hawaii and another location within North America. To take advantage of this discounted fare, however, you must use it within your first 13 months as a cardholder. Reward structure: The reward structure of the Hawaiian Airlines credit card is very similar to those of other airline credit cards (1 mile per $1 on all spending, 2 miles per $1 on Hawaiian Airlines purchases) with one key difference — the opportunity to earn up to 10 miles per dollar on spending at partner merchants. 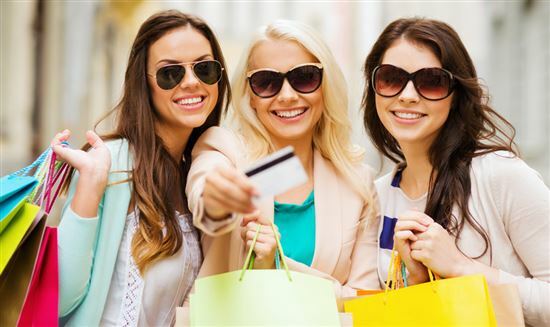 These partner merchants include car rental companies and tourist attractions in Hawaii like tour groups, dolphin watches, and restaurants, so if you're using the card to travel to Hawaii or you live there and like to look around, there's a good chance you'll be able to take advantage of the opportunities to earn bonus miles. No need to worry about caps on rewards, either — there's no limit to the amount of rewards you can earn as long as your account remains in good standing. Annual bonuses: Each year on your cardholder anniversary, you'll get a $100 companion fare discount on a roundtrip ticket between Hawaii and another point in North America. 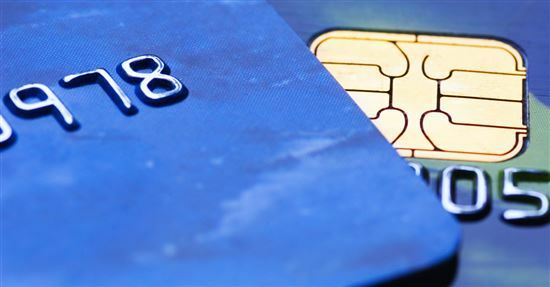 You can also earn an extra 5,000 miles each year that you spend $10,000 or more on your card. Travel perks: If you use your Hawaiian Airlines card to purchase a ticket directly from Hawaiian Airlines, you'll get one free checked bag on that flight. You also receive access to discounted fares just by being an Hawaiian Airlines cardholder. And if any of your friends or family members also have Hawaiian Airlines miles, the ShareMiles program allows cardholders to receive earned miles from family and friends online. Reward redemption flexibility: Don't want to redeem your miles for a flight to Hawaii? Thanks to partnerships, you can redeem your miles for flights with a number of other partners, including American Airlines, JetBlue, and Virgin America. If you'd prefer not to redeem for a flight at all, redemption for merchandise or other travel services like hotel stays and car rentals is also available. No foreign transaction fee: This card does not come with the pesky fee that many credit cards charge for each purchase made outside the U.S. (usually a 3% fee). Relatively high annual fee: There's an $89 annual fee attached to this card, which is higher than the annual fees charged by many other airline credit cards. Limited itineraries: Hawaiian Airlines offers flights between North America and Hawaii almost exclusively. To get the maximum payback for your miles, you're pretty locked in to redeeming your rewards for flights to Hawaii when you want to use them on airfare. You do have the option of using your Hawaiian Airlines miles to book flights with other carriers, but the booking process isn't as seamless and you won't get the same value for your miles. Length of time before redemption: Flights to Hawaii require a lot more miles to be eligible for redemption than a flight between other destinations in the U.S. So it may take a while to save up your miles for an Hawaiian vacation, especially at a standard rewards rate of 1 mile per every dollar you spend on the card. 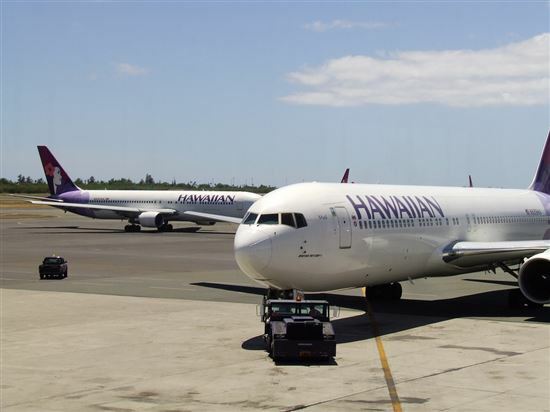 And while most introductory offers give you enough free miles to redeem for at least a single roundtrip fare, the 35,000 bonus miles in the Hawaiian Airlines card's introductory offer may not be quite enough to be redeemed for that first ticket. No priority boarding: You get one free checked bag, but you don't get priority boarding — a travel perk that is standard with many airline credit cards, including those with a lower annual fee. 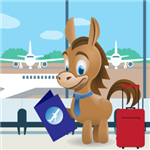 Delta / Gold Delta SkyMiles credit card from American Express (a CreditDonkey partner): Gold Delta SkyMiles offers 30,000 bonus miles if you spend $1,000 on purchases within the first 3 months of opening your new account. 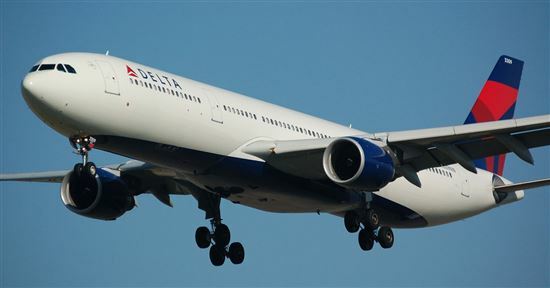 In addition, you can earn a $50 statement credit after you make a Delta purchase within your first 3 months. This card earns airline miles: 2 miles for every dollar spent on eligible purchases made directly with Delta. Earn 1 mile for every eligible dollar you spend on purchases. There is a $95 annual fee ($0 introductory annual fee for the first year) (See Rates & Fees). It does not have annual bonuses like the Hawaiian Airlines card does. Alaska Airlines: The Alaska Airlines Visa Signature has a lower annual fee of $75, and its major perk is an annual $99 companion fare. It doesn't come with any travel perks like free checked bags or priority boarding, however. As branded airline credit cards go, the Hawaiian Airlines World Elite MasterCard offers a nice array of travel perks and cardholder bonuses. Its annual fee is a bit pricier than some of its competitors, but the $100 companion fare discount you receive each year will more than cover the $85 if you can use it year after year. Some may prefer a credit card associated with an airline that has a greater variety of flight itineraries, but if you're a resident or a fan of Hawaii and don't mind redeeming your accumulated miles for flights to and from there, this card would make a nice addition to your wallet.